China Economics has become a major field of Economics since the open policy implemented by China in 1978. More and more economists pay more attention to any economic issues regarding China and thus more and more papers discussing economic issues regarding China are published in many distinguished journals. Association for China Economic Studies (ACES) has established by a group of scholars concerning China’s economic issues and contributed to economic research related to China since 2012. In this year, after the 40th year of China implementing the open policy, the ACES scales up the conference from domestic to international one and would like to invite more scholars from all over the world to share ideas and opinions with regard to any economic issues related (but not limited) to China. At the Conference, active and lively discussions are expected among paper presenters and other participants. There will also be an intriguing keynote speech by a renowned scholar. We accept papers and presentations in Chinese for encouraging more Chinese scholars who are more comfortable in speaking Chinese to attend this conference, although English is the language for your presentations at this conference. We also welcome you to organize a panel of 4 papers for this conference. ACES thanks to Chung Yuan Christian University for hosting this conference and two excellent journals indexed in SSCI, Singapore Economic Review and Journal of Asian Economics, for collecting papers from this conference in their special issues. We look forward to your participation in this conference. We also welcome topics related to other fields of Economics, Business, Finance, and Management, especially for China economy. Keynote Speech: Macroeconomics for Emerging East Asia: The China Case. US$200 will be awarded for the best paper at the conference. May 1, 2019: The regular submission, registration and payment deadline and starting late submission and registration. June 1, 2019: The late submission, registration and payment deadline and starting very late submission and registration. July 11, 2019: The very late submission, registration, and payment deadline and starting conference check-in. Guest Editor: Dr. Jr-Tsung Huang, National Chengchi University. 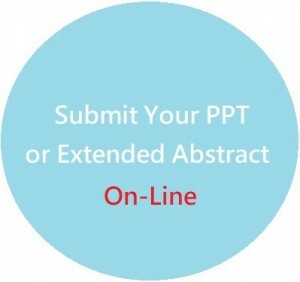 Please submit either a ppt file or an extended abstract (word file with at least 500 words) of your paper. The full paper is NOT necessary for this conference. There are two ways for you to submit your submissions. Please use one of the following two ways. 2. Email Submission: Ms. Patty Miao at acesorgtw@gmail.com. The regular registration fee (deadline May 1, 2019): US$ 250. The late registration fee (May 2~ June 1, 2019): US$ 300. The very late registration fee (after June 1, 2019): US$ 350. The special rate for full-time graduate students (deadline May 1, 2019): US$ 200. The special rate of panel organizers (deadline May 1, 2019): Free. There is no registration fee for scholars from Chung Yuan Christian University and a special registration rate of US$ 150 (deadline May 1, 2019) for scholars with full-time position affiliated to any institutes in Taiwan. 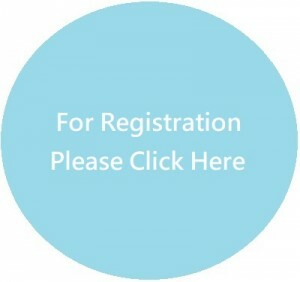 Each registered participant can have only one presentation. However, for those participants who want to have more presentations, each additional presentation will be charged with a presentation fee, different from the registration fee, by US$ 150. The co-host, Alvin International Education Co. Ltd, will issue an official receipt for the registration and presentation fees. We will have a group rate of accommodation in Hotel Kuva Chateau (No.398, Minquan Rd, Zhongli District, Taoyuan City 32055, Taiwan R.O.C.). For this hotel, please refer to http://www.kuva-chateau.com/index1.asp?ln=2. Executive Room (one big bed 200×180 cm) with one breakfast: NT$ 2,900 (≈US$ 97)/night. Executive Room (one big bed or two small beds 200×120 cm) with two breakfast: NT$ 3,400 (≈US$ 114)/night. Deluxe Room with one breakfast: NT$ 3,300 (≈US$ 110)/night. Check-in time: 15:00, Check-out time: 12:00. 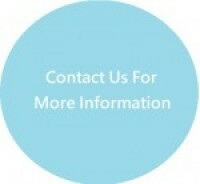 For detail information, please visit the official website of ACES at http://www.aces.org.tw/ or email to Ms. Patty Miao at acesorgtw@gmail.com. Alvin International Education Co. Ltd.